This being my third long term pregnancy, (I suffered 3 miscarriages) I have come to realize that it is any of my others! My 1st pregnancy, no morning sickness. 2nd had it until I was 12 weeks. 3rd pregnancy, had morning sickness until 14 weeks. 1st pregnancy minor fatigue, 2nd MAJOR exhaustion 3rd pregnancy, EXTREME EXHAUSTION and still going strong at 19 weeks. The fatigue plus taking care of my cute little almost 2 year old! So how can I be one fit momma to be? Walking is great. Pregnant or not. It is easy to do and doesn't require a ton of effort. Seriously. Just walk a little faster than a casual stroll around the mall. When you go to the mall to do your Christmas shopping, park FAR, Far away from the entrance, even you ladies that are soon to be due. The walk is good for you! At the end of my 1st pregnancy I was walking 3 miles a day 3-4 days a week at my gym. Keep this up as long as you can but as you are approaching your due date you will probably have to scale back on the mileage due to hip pain or other pregnancy related ailments. Ladies trying to conceive or newly pregnant keep running in the 1st trimester! I will be hard, and you might have to puke in a bush on the side of the road but push through it. You can do it because once you hit second trimester and the morning sickness is gone you will be running like a champ and so thankful you continued. This was my current state when I was pregnant with #2, Collin. 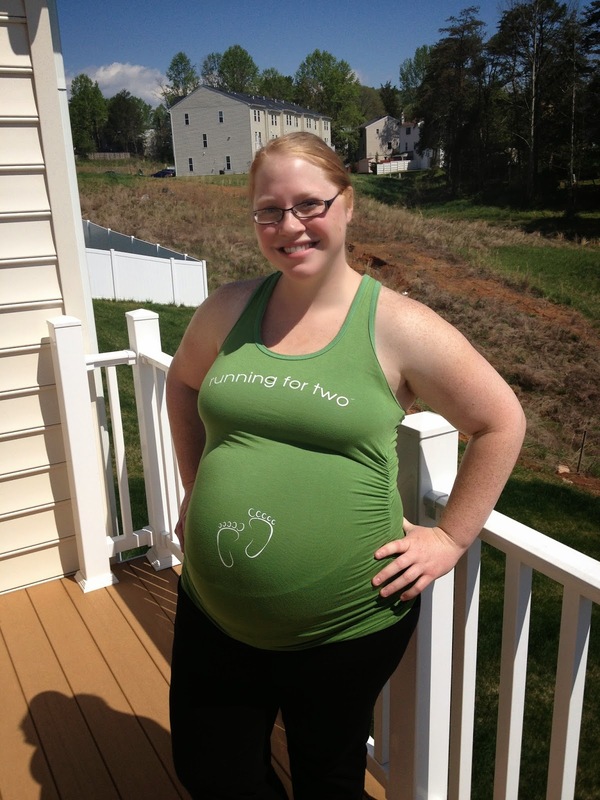 I signed up for a 10k just days before I found out I was pregnant with and the 10k would be at 10 weeks pregnant. It was awful training for it. I got sick on the treadmill all the time. I was sick as a dog. But I ran in the 10k, never lost my lunch, and finished strong and faster than I expected. 2nd trimester running is really fun and empowering! Oh, I love my yoga class! It is so relaxing and fun. It is not as vigorous as regular yoga. Focus more on internalizing and connecting with the baby to help prepare for labor and birthing. Plus work on strengthening your core, legs and arms through modified yoga positions. 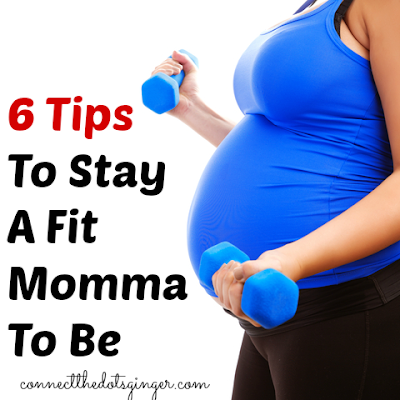 I did yoga during my pregnancy with number 2 and loved it! Can't make it to a class, Pilates DVD to do 1 time a week. It helps strengthen your core and keeps you flexible. I have the 10 minute Solution Prenatal Pilates by Lizbeth Garcia. There is a difference in buoyancy in your belly then there was before you got pregnant and it feels really cool, and it takes the pressure off your back which as you get further in your pregnancy will begin hurt more. Check out the swimming classes at your gym or YMCA. Sometimes there are expecting mom classes sometimes not. But any of the classes are great! If there are no swimming classes but there is a lap pool, do some laps! It is so good for you as you get a whole body work out. And switch it up by using a boggy board to just target your legs, or try not to kick so that you target your arms. WATER FEELS SO GOOD while pregnant. Meditation is actually very soothing and can help you mentally prepare for labor. Every Wednesday night I use this time to listen to my hypno-birthing CD's. I know it sounds weird, but it gives you a chance to bond with your baby before you meet them and helps you to learn how to focus your mind to help get you through labor and delivery. You don't have to do hypno-birthing to mediate while pregnant. Just take 5-10 minutes out of your day, place your hands on your belly and think about what kind of baby you are going to have. How you are going to play with it. Cuddle and kiss it. What clothing you are going to dress them in. Think positive thoughts about your new baby. Or think about your body and how amazing it is that it is making a baby. You are healthy. Can still exercise. Thank your body for what it is doing. For being strong. It is amazing what positive affirmations can do for your mind set. For reading about hypnobirthing I suggest the Mongan Method and there are CD's you can get with it too. I know we don't want to hear about this being right in the middle of the holidays but seriously excessive eating while pregnant can cause excessive weight gain. I know this to be true. I gained 55 lbs with my first. I had lost 35 lbs just before I got pregnant with Mason and could not continue my diet I was on (Slimfast) while pregnant. So I had to start eating, again. I hadn't learned yet how to eat for my body. (Since I had Mason I have worked with a professional nutritionist on how my body should receive food.) So I packed on weight pretty fast with Mason because I ate bread, and junk. This time around, I'm following the 21 Day Fix program and nutrition and have only gained 6 pounds this whole pregnancy. For more on eating healthy read my CLEAN EATING for a fit and healthy pregnancy. Oh and cravings, give in to them but IN MODERATION. Craving ice cream, don't buy a carton of it go get a cone at a local shop, that is all. Don't do it everyday though. Be smart, eat smart.